The Federal Road Safety Corps (FRSC) on Wednesday cautioned motorists to drive on highways with utmost care instead of blaming blood-sucking demons for reckless driving. 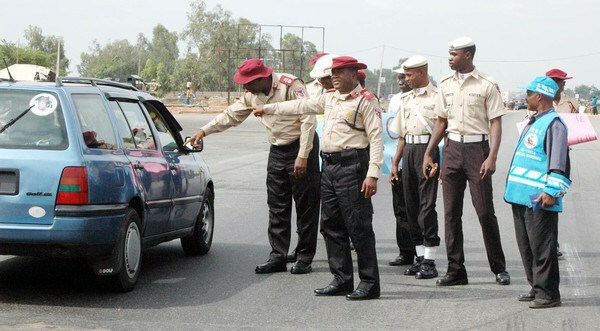 Lagos State Sector Commander Hyginus Omeje cautioned drivers during the kick-off of the “Ember Months” safety campaign tagged “Safe Driving, Safe Arrival”. Represented by the agency’s Head of Operations, Joseph Ojerinde, Omeje said drivers must avoid overloading and drunk driving. He said, “To arrive safely on any journey, a driver must prepare adequately for the journey and also take-off safely without drinking alcohol or taking any hard substance. “The road is not a blood sucking demon that demands for human blood at ember months. “It is because we dont take care of ourselves and we are not conscious of road signs, that is why lots of accidents happen during this period.